The Dr. J. 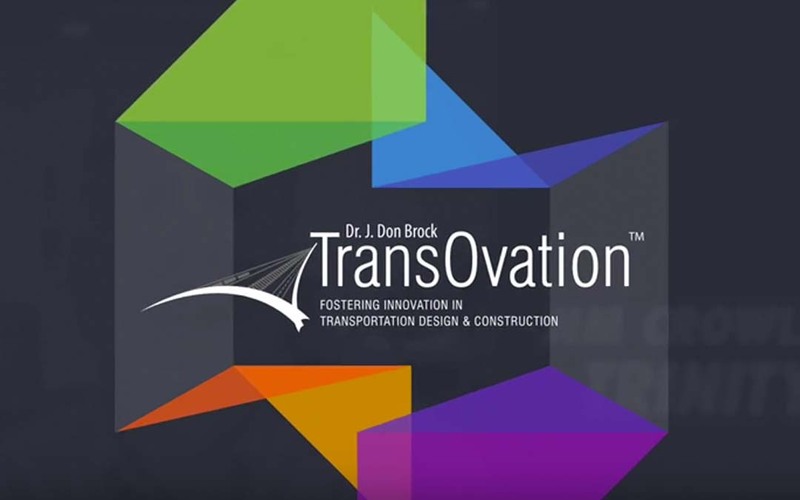 Don Brock TransOvation™ Workshop isn’t your typical professional conference – it’s a mission to help the transportation construction industry find solutions to complex problems and see beyond the day-to-day. But don’t just take our word for it – listen to industry leaders explain the importance of TransOvation in this short video featuring Ross Smith of Microsoft, John Hillman of HC Bridge Company and Ted Zoli of HNTB. All three thought leaders will be at this year’s workshop, Nov. 16-18 at the 3M Innovation Center in St. Paul, Minnesota. Attendees also will hear from other top innovators and interact with key state transportation department officials from Maine, Virginia and California. They will provide insight into the challenges that firms face when trying to introduce a new technology or innovation into U.S. the transportation construction market.